Apple allegedly is trying to tap Swiss watchmakers for their technical and metallurgy expertise as the company works to brings its rumored iWatch to the market, reports the Financial Times. Though Apple is reaching out to several companies, most are not willing to work with the Cupertino company. Swatch chief executive officer Nick Hayek confirmed the watchmaker has talked to several companies about their wearable products, but he is not interested in forging a partnership with any group. Hayek says his reluctance to work with Apple and similar companies comes from his desire to protect Swatch's advancements in ergonomic design, longevity and battery life, but he also has been critical of the iWatch, proclaiming publicly the smartwatch won't be "the next revolution" for Apple. Jean-Claude Biver, president of Watches and Jewelry at LVMH, claims Apple unsuccessfully tried to poach employees from his Hublot brand as well as from other manufacturers who make precision parts for these luxury watches. "Apple has contacted some of my employees – I saw the emails personally," Mr Biver told a Swiss publication, claiming that all those who had been contacted refused the iPhone maker’s advances. Apple allegedly may launch the iWatch later this year as it prepares to expand its lineup of mobile devices to the wrist. The iWatch may have a fitness focus with biosensors that enable users to track vital health statistics like heart rate, blood pressure and more. It is believed the band could share this data with Apple's Healthbook app, a health and fitness title expected to debut alongside iOS 8. Looks like another company that will regret holding on to the past instead of embracing the future. Meanwhile, Swatch's stockholders are screaming at Hayek. There is an odd undercurrent to these statements, although it may just be my perspective. It doesn't come across do much as they being unwilling to partner, although I am sure that is part of it, as it does a group of people trying to huddle in and convince themselves and the rest of the world that the status quo will be maintained. Also, I am curious as to why they are already proclaiming that the iWatch will come, and that it will be a failure. Not only does history show them the error in believing such a statement, but they are outright ignoring the fact that it might not come at all. If it does come, I think we can be quite certain it will be a great product. For whom and how many they sell is a legitimate question, but it will be great under some light regardless. The whole thing smells more "scared" than "confident". Edit: I wonder if Apple has approached any of these to partner at all. As some other posters have pointed out - it's not normally like them to partner on something. It is likely they have tried to poach - and have probably been successfully in many cases. Maybe this is a veiled attempt to say back-off, or perhaps, oddly enough, even a backhanded way to say "we have kept a key employee or two... maybe you should consider partnering with us..."
Whatever it is, seems as though there is at best some half-truths here. This sounds like the story when Apple was trying to partner with cellphone carriers to launch the iPhone. Many refused and didn't believe it. A paradigm shift is coming. If you keep doing things the way you always have done them, you will be marginalized. Think of Palm and Blackberry phones. And--face palm--think of the WATCH industry. In the 1960s, quartz movement was a paradigm shift for watch makers. The Swiss said, "no, thank you" and the Japanese took quartz and ran with it. It changed the whole industry. The mass market moved to away from the Swiss watches and started buying Seiko, Casio, and other Japanese watches. It's about to happen again and they don't see it. ...he also has been critical of the iWatch, proclaiming publicly (https://www.macrumors.com/2013/03/06/swatch-ceo-says-iwatch-isnt-the-next-revolution/) the smartwatch won't be "the next revolution" for Apple. I agree with this, but I'm a wearables skeptic. I was completely happy to stop wearing a watch at all in the 1990s when I got a pager, and I don't want to go back. I think watch companies should go out of business or become niche players in the jewelry departments. OTOH, as far as I know, I have never been right about any technology prediction I've ever made. people wearing those have no interest in replace in them with a smartwatch), but if I were the head of a Swiss watch firm, I'd be concerned about the lower end of their market. If the idea takes off, I'd expect an eventual partnership with a high-end brand to build in the Apple tech. I was a lurker on this site for almost two years now, but this article made me register. Do you really think that something like the Swatch Group would consider to partner with an American tech company? This is an organization which includes the biggest names of all that is watchmaking. These guys were making watches for almost a century or more. This group includes for example Omega, Glashütte, Longines, and Tissot. Why would they even care. Something such as a smart watch cannot be compared with a mechanical Glashütte or an Omega. It is some cheap joke for them. Watches are here to stay and they will coexist with modern technology. A watch is not for anyone. It is a jewelry not something that is only used for checking the time. Anyone who used it only for the latter is using a smartphone now and does not wear a watch. 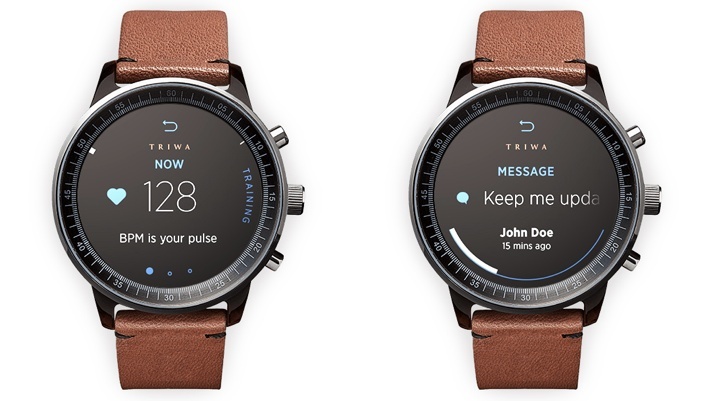 But who thinks that someone will be using a smartwatch instead a e.g. Nomos Tangante is insane.